Like me, you may have had a bit of a double take. I intend to use this picture if I ever need to check whether someone’s middle aged. My first reaction, for example (and I’m afraid middle aged seems to be very much where I’m at), was that this could cause a problem for my Dad, and my Mother in law, who’ve both just had hip replacements. Not at the same time, you understand. They didn’t actually swap hips. They needed different hips done, for a start. Then there’s the height difference. Anyway, I may be rambling. 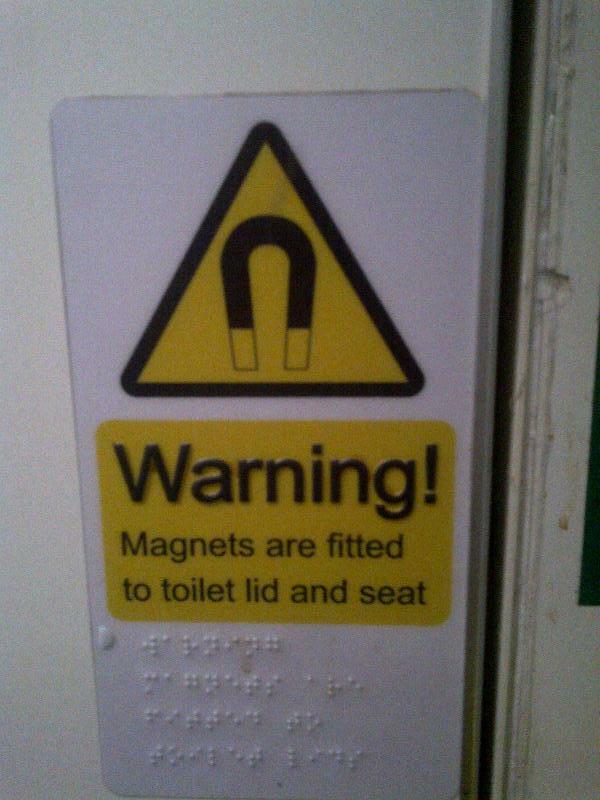 The point is that I didn’t think of how that warning might impact someone who, shall we say, might have ‘accessorised’ themselves, largely because I don’t know that many people who have. Or, at least, I don’t know that I know anyone that has. And that’s how I know that I’m middle aged. Also, I tend to ramble on a bit.